During last night’s Mumford & Sons rooftop show at Soho House, Grub Street caught up with Anthony Mackie, who appears in The Hurt Locker and the upcoming Captain America: The Winter Soldier. Mackie was drinking a Grand Marnier on the rocks, so it seemed like a good time to ask him about NoBar in Crown Heights. He was kind enough to talk about the project and give us details on his second project — NoBar Williamsburg. 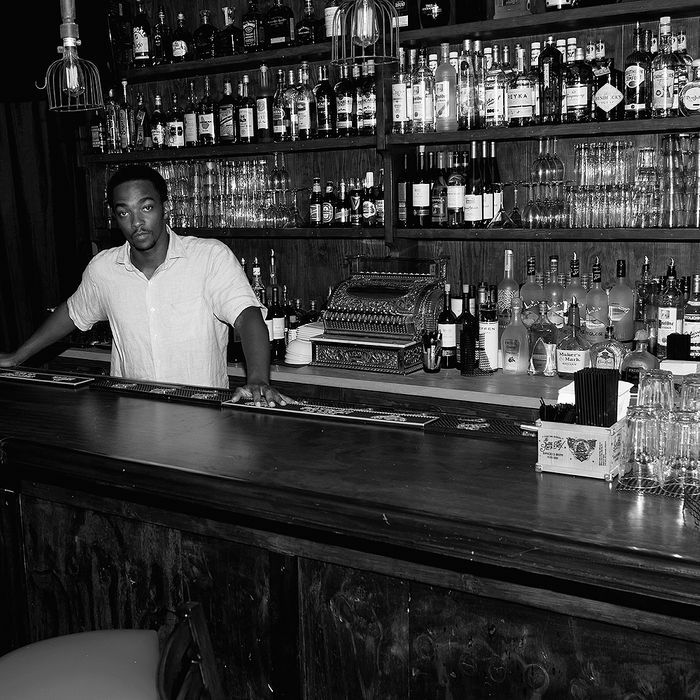 Like he does over on Nostrand Avenue, Mackie says he’ll tend bar at the new place as well, serving a full complement of Southern cocktails, including milk punch. The milk punch, if all goes as planned, will start flowing at NoBar Williamsburg in late October or early November.